Jennifer Rucinski called Pharmacist Hiren Patel for advice when stress and physical challenges from a recent move left her body taught with tension and pain. He recommended talking to her doctor about a change in thyroid medication. She followed his simple advice and found herself back to normal in just a few days. Moving is a colossal hassle, even on a good day. But what about moving when you’ve got a thyroid condition? When your body doesn’t process energy well, just the very thought of moving can prove exhausting. That’s exactly the situation Jennifer Rucinski was facing recently. The 49-year-old works as an office manager and medical assistant at a practice in Peachtree City. 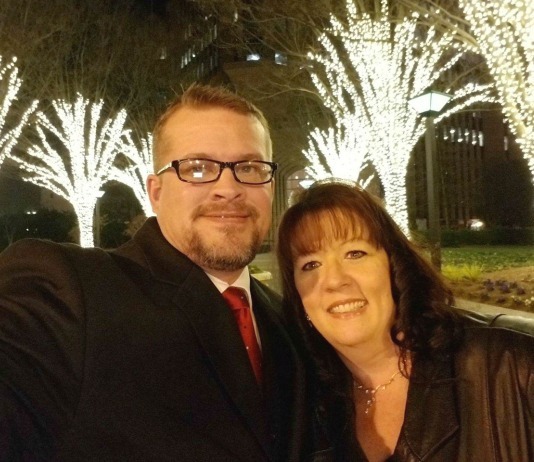 She and her fiance were moving from Newnan to Stockbridge. Her thyroid is removed, which means she takes a generic version of Synthroid, a thyroid hormone replacement. Lack of sleep added to her exhaustion, and Rucinski thought her thyroid issues were playing a big part. So she called her pharmacist, Hiren Patel at The Pharmacy Place in Peachtree City, to ask for advice. He recommended talking to her doctor about a change in therapy with her thyroid medication, as well as increasing her water intake. “And you know what? In a few days I was completely back to normal,” Rucinski says. Pharmacist Hiren Patel of The Pharmacy Place loves to serve Peachtree City families. 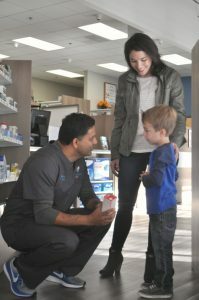 After eight years working as a pharmacist for a national retail chain, Hiren fulfilled a dream in 2016 with the opening of The Pharmacy Place in his hometown of Peachtree City. The formula for success was simple: Provide customers with personal and professional pharmaceutical services that they can’t get in the big box stores, and with significant cost savings too. He’s in the business of satisfying customers like Rucinski. “I have been going to The Pharmacy Place for probably well over two years,” Rucinski explains. “I went to them because of the nurse practitioner that I see. She recommended them and I just turn all of my other prescriptions over to them now because of the service that you get. Oh, and the prices! I have insurance now. I didn’t have insurance then. And even without the insurance, the prices are great! One of the most beneficial services offered by The Pharmacy Place is delivery, Rucinski says. “They offer to deliver if they’re out that way or if they’re coming out. They have delivered a few times if I called it in ahead. Sometimes even Hiren will drop it off on his way home. You don’t get that service everywhere. They care about the patient. You know, you just feel it when you walk in the door. The Pharmacy Place is located at 2005 Commerce Drive North in Peachtree City. Hours are Monday to Friday 9 a.m. to 7 p.m. and Saturday 10 a.m. to 2 p.m. For more information, call 678-271-3970 or visit thepharmacyplace.com.